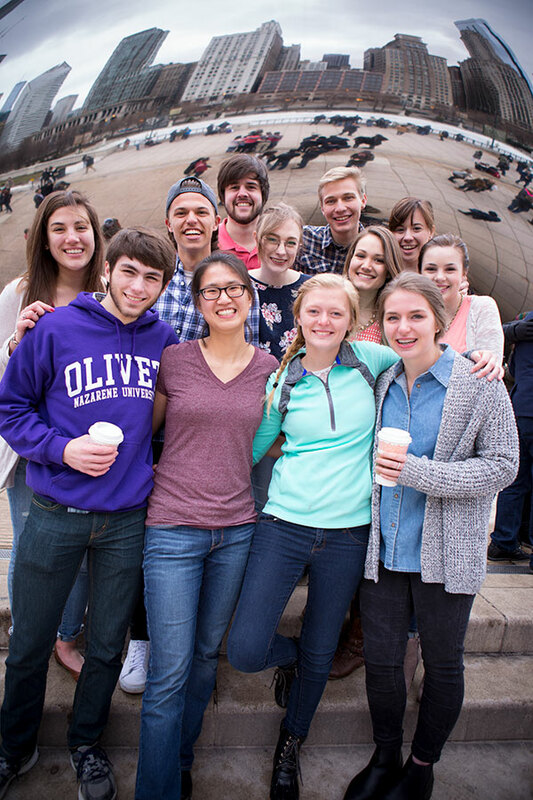 As a student at Olivet Nazarene University, you will have numerous ways to get involved. Whether your interests lie in student government, equestrianism, biology or service opportunities, there is a club or an organization that’s just the right fit for you. 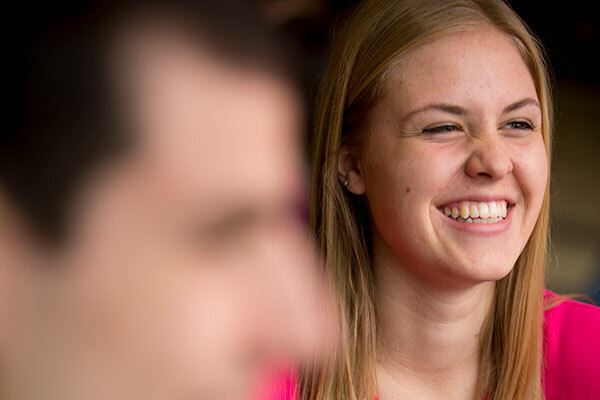 All students who are enrolled as traditional undergraduate students with the University, carrying at least 12 credit hours are considered part of the “Associated Students” of Olivet Nazarene University. The governing body of the Associated Students of Olivet Nazarene University is the Associated Student Council (ASC). The Associated Student Council strives to exceed expectations in order to enrich the quality of the student experience by: consistently developing leaders, providing effective representation, and cultivating a vibrant community centered on Christ. Overall, this organization is responsible, along with the University administration, for fostering social and spiritual development on campus. Below are some ways you can be involved in ASC! The Voting Council is comprised of the Executive Council and each Class Council. The Voting Council makes decisions concerning the Associated Student Council, plans events, and works on the behalf of the Associated Students in order to improve campus life. The selected student Executive Council members facilitate the organizations and activities under their position in the Associated Student Council. Specifically, this council plans events, organizes ministries and clubs, and strives to address campus issues by working with the administration on the behalf of the student body. Each student Class Council consists of a president, chaplain, and seven representatives elected by its respective academic class. Class Councils are to develop leaders among the classes, encourage campus improvement, and provide opportunities to build community. The Student Body President serves as the primary representative of the student body to the various facets of the University and the community at large. The President is responsible for the faithful execution of all provisions in the Constitution and all rulings of the Student Council as well as presiding at all meetings of the ASC Voting Council. The President also supervises allorganizations under the umbrella of ASC. The Spiritual Life ministries are chaired by the Co-Executive Officers for Spiritual Life and exist for the spirit-led advancement of His kingdom through service, acknowledging Christ as our foundation. The Spiritual Life ministries provide students opportunities for involvement through various in-reach (To serve ONU students) and out-reach (To serve the community) activities. Social Life events are led by the Executive Officers for Social Life and the ASC Voting Council in conjunction with the Office of Student Development. 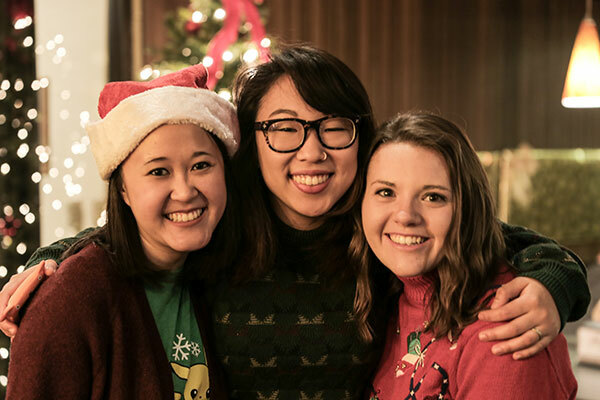 Primary annual responsibilities include Ollies Follies, Paint Wars, Candy Costume Fest, and the Christmas Party, along with many other social activities to build community amongst the campus and community. The Publicity Council is led by the Executive Officer for Publicity. The Publicity Council advertises for all-school events, class council events, and ASC clubs and organizations events by graphically designing posters and other guerilla marketing tactics. This council has a tremendous influence on communication to the student body and the success of ASC sponsored activities. The Aurora Yearbook is led by a student Executive Editor. Each academic year, the Aurora Yearbook student staff takes photographs as well as writes, edits, formats and publishes stories about campus life. All students are encouraged to join the staff! The GlimmerGlass Newspaper is led by a student Executive Editor. The GlimmerGlass Newspaper student staff takes photographs as well as writes, edits, formats and publishes stories about campus life and beyond. All students are encouraged to join the staff! Course credit can be earned by the student staff by enrolling in course COMM 210. ASC Clubs and Honor Societies are managed by the Executive Officer for Student Relations. Such organizations exist to serve and represent the student body in their respective departments, campus, and the community at large. ASC Clubs and Honor Societies have meetings, host events, and travel based on their focus. This club provides athletic training majors a place to develop professionally. Students will use their skills to serve the community in a variety of athletic training activities. This club exists to promote community and service within the biology department, the campus of Olivet, and surrounding area as well as understanding of biology and the environment. This club exists in order to encourage political activity and debate among the students, faculty, and staff in order to advance awareness on domestic and global issues. This club exists to involve all students on campus who enjoy chemistry. This club provides a welcoming environment for students who enjoy crafting. There are opportunities to learn new craft skills as well as to share your creations in craft shows. This club exists in order to promote fellowship for social work and social welfare-oriented students. Various activities will be sponsored in order to raise awareness at ONU about human need. This club exists to provide college students the best opportunity to make a difference and to develop leadership, teamwork, and communication skills through learning, practicing and teaching the principles of free enterprise. This club exists to promote community among students who have an interest or passion for horses and to promote understanding of horsemanship. This club exists to promote unity among all students interested in Exercise Science, including various job opportunities in the field and graduate school speakers. This club exists to promote and instruct in theatre arts. 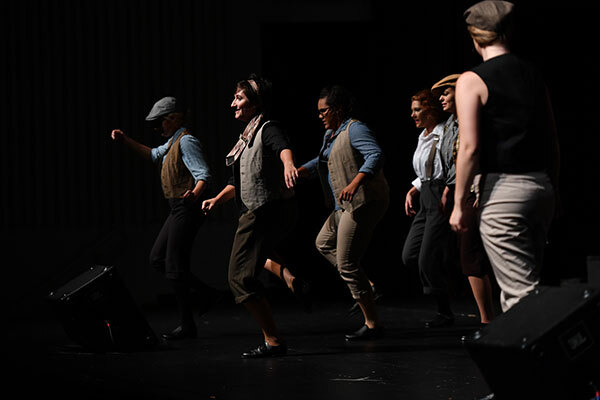 Specifically focuses on the production of stage shows and the advancement of student talent with emphases on Christian worldview and spiritual development to accompany theatrical accomplishment. This club exists in order to provide students with an opportunity to learn about and participate in investments. It teaches students how to invest wisely and that there is always a risk when investing. All majors are welcome! This honor society exists to encourage and promote the continuing excellence in the education department. This honor society is dedicated to recognizing and encouraging excellence in scholarship, research and leadership in Family and Consumer Sciences. This honor society exists to encourage the development and reward the accomplishments of those in the communications program. This club promotes community amongst students who share a passion for mathematics by participating in mathematical origami, math scavenger hunts, math movies and an annual Math Murder Mystery. No upper division math is required. This club exists to encourage the international missionary and military students at Olivet. This club exists to help future music educators and the community music programs learn more about music education and how to be Christ-like influences in our respective communities. This club exists to promote the mission of NSTA and familiarize students with the resources provided by the association as well as provide opportunities for professional growth and development. This club exists to provide unity and support among the nursing students and to provide community service opportunities such as blood drives. This club exists to provide opportunities for Engineering students and the student body to have fun utilizing engineering. This club exists to provide enjoyable and educational activities with a geological focus for students. This club exists in order to provide opportunities for Olivet students with varying degrees of outdoor experience to enjoy God's creation together. Activities might include hiking, backpacking, climbing, fishing, and more! This honor society exists to encourage and promote continuing excellence in the history department. This club exists in order to promote the awareness of law and the legal profession and to prepare ourselves for the challenges of law school and of a legal career. This honor society exists to encourage academic growth and excellence in the psychology field. This honor society exists to encourage academic growth and excellence in the field of English through opportunities such as the submission of personal writings to national competitions. Students interested in entering a career in human resources will be enriched by a membership in both the local chapter and national organizations. Members have the opportunity to explore internship and job opportunities, network with industry professionals, attend conferences, compete in case competitions and apply for scholarships. This club exists as an improv team that performs a show regularly about once a month both on and off campus. We exist to show that Christians relax, have a good time and laugh ‘til it hurts while glorifying God in the process. This club exists to join dietetic majors together as a community for making a positive impact on the nutritional status of our local and global communities. This club exists to empower future educators in their pursuit to invest in the lives of the next generation. This club exists to provide an introduction into the profession of family consumer sciences and development of Christian professional attitudes and competencies. This club exists to provide a supportive gaming community for students on campus. Anyone who loves playing games is welcome to join or attend events. The McGraw Marketing Club (mClub) allows Olivet students to experience what means to thrive in business and life through guest speakers, 'ADventure' road-trips, and real-world marketing and advertising projects through our relationships with professional associations, ONU alumni, and community/ministry partners. mClub encourages cross-disciplinary engagement with Communications Studies, Art and Digital Media, and other areas of study across campus. Chemical engineering students seeking to foster a community, network, and forge a better understanding of chemical engineering including serving the local area and campus. This club exists to learn, practice, and refine long-endurance athletic skills such as long-distance running, cycling and swimming. ASL club is an opportunity for people who are interested in learning about American Sign Language and also learn how to sign. The goal is to gain knowledge while showing the love of Christ. This clubs seeks to provide students with a greater understanding of the variety of careers available within the accounting profession through social, educational, and networking events. This club promotes the art, science and practice of multidisciplinary engineering and allied sciences around the globe. This club exists for students who are willing to work on videos via acting, filming, editing, or writing and educate those with an interest in filmmaking. This club is for those who major in and have a passion for those with special needs in the community; through participating in the community, students are provided with the opportunity to reach a variety of people and create connections for their future career. This club exists to establish a community of strategic communication young professionals through affiliation with an international organization through which students broaden networking opportunities, participate in community outreach, and earn leadership experience. A creative community on Olivet’s campus where students with a passion for writing, reading, and/or the sharing and construction of ideas can meet and make connections among like-minded people. This club exists to encourage academic growth and excellence in the field of engineering, particularly among women in the engineering field. This club exists to practice stewardship and conservation of God’s creation as well as provide zoology majors with the opportunity to learn about future careers, create professional connections, and discover personal passions. Inspires and prepares students to become community-minded business leaders in a global society through relevant career preparation and leadership experiences. This honor society exists in order to promote the awareness of legal and governmental policies. 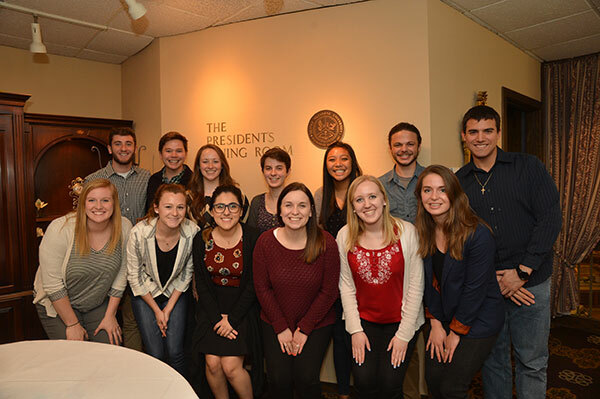 This honor society exists to encourage academic growth and practice in the Spanish language.